Prospective clients often have the mistaken impression that mediation is only for couples whose divorce will be relatively simple. They don’t have children or a business or many assets, so there is little to negotiate. Others believe mediation is for those who are separating amicably, or who are already skilled at negotiation and compromise. The reality is that mediation is for any couple that wants to retain control over the decisions that affect their lives. Couples who experience the mediation process fully understand the consequences of their decisions as well as the implications of the agreement they sign. And while they may not end up best friends, those who move through mediation successfully will learn techniques for resolving their differences down the road. This can be life changing, especially for those sharing custody of their children. 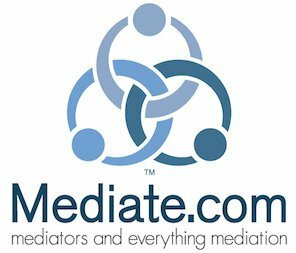 If you are thinking about divorce, TLC Mediation is a great place to start. We will provide all of the information you need to understand your options. For couples that decide to separate or divorce, there is no doubt that mediation is a viable alternative to a lengthy and costly legal battle. During the initial session we explain the mediation process in detail. As a couple, you discuss key concerns such as evaluating your present financial condition and providing for future financial needs. Couples with children learn to separate their spousal role, which is ending, from their parental role, which is continuing. Our objective is to help couples achieve a win-win. We do not take sides, make decisions, or impose solutions. We can offer suggestions and provide relevant information so that you can make well-informed decisions for yourself and your family. But our role is that of a neutral third party who is there to help maintain the balance of power as you work towards a fair and satisfactory settlement. Throughout the process we will make sure that you discuss everything that needs to be addressed in the separation agreement, and that you understand the financial implications of each decision. Once you and your spouse have reached a tentative agreement, we will prepare a Memorandum of Understanding for each of you to approve. Before the agreement is finalized, we recommend that you and your spouse consult with independent attorneys to review it. You are both encouraged to consult with your attorneys at any point during the mediation process. An attorney will draw up the final marital settlement agreement and file it in court.